Sometimes, it's tough to take time off from work – especially if you're the boss or you are particularly swamped with things to do. Even during the holiday season, when a glass of eggnog and a sappy movie with your spouse beckons to you from the living room while you burn the midnight oil, it can be hard to justify taking a holiday breather when you want to finish the year with a bang. But what you might not realize is that some well-deserved down time during the season of festivities can help you begin the New Year with new ideas and a fresh outlook on your business. It's pretty much essential to take a break if you want to gain some new perspective. And the holidays can be the perfect time to do so. 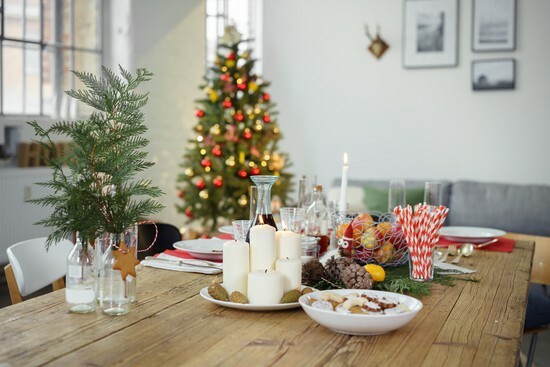 Here are five ways to get inspired this holiday season so you can rock the New Year! While you're not working for a few days, make the most of your time. You'll no doubt brew some interesting thoughts, which can be used in business later. Getting out of the house over a holiday break is the best way to increase productivity and enjoy brainstorming in a new environment. Why not pack up the car, the kids and husband and head somewhere else for a couple of days? And don't worry if your trip plans are no more exotic than the next city over; the real point is to get out of your home office and away from the usual tasks. If you find yourself constantly busy with work and its many demands, it's possible you haven't had enough time to bond with your kids lately. Make an effort to change that over the holiday season. Playing board games, cooking together and just enjoying the season can help you regain the rose-colored glasses you wore at their age. And if your kid spouts something brilliant, you can write it down. The holiday bustle can be tiring. The kids are home from school (and on a sugar high); the husband is in a football coma. Make use of the time early in the morning or late in the evening after things quiet down and enjoy your solitude. You don't need to work busily at your desk at 6 am, but, rather, sip something warm by the window and daydream about your goals. Jot anything down that comes to you, even if it doesn't have to do with work. If you're lucky enough to be someplace scenic, such as the seaside, mountains or any place in nature, take advantage of the occasion and steal away into the woods (or on the dunes) while wearing your thinking cap. Some of the best ideas come to us when we're in the great outdoors. When It's Time to Return to Work. 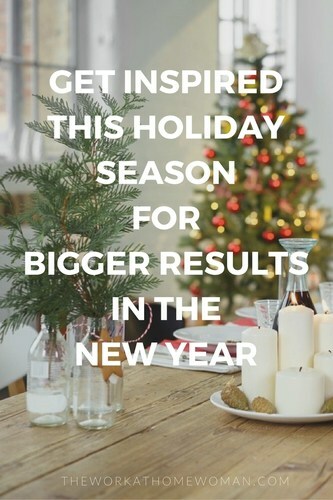 After the holidays, you'll need to put those new ideas to work for your business. Let's say you jotted a couple of notes on a cocktail napkin about which holiday commercials appealed to you. How can you take that information to the office? Make a list of new ideas you encountered from your brainstorming sessions and try to find their practical uses. Even folks who work from home need a sounding board for their ideas. Get in touch with people whose opinions about your business you value and share your visions with them. Make use of your social media accounts to start a dialogue. Share your new ideas and ask for new ideas in return for the coming year. Your fans and followers will enjoy the chance to offer input. We know it's hard, but try to ease back into the crazy, daily grind after your holiday breather. If you suddenly drown in a workload, all the good that your vacation did you will not mean anything. So over the holidays you played Monopoly with your daughter for four hours straight and had invigorating conversations over cocoa? Try to maintain some of the new habits you picked up when you weren't working so hard. More time to enjoy life throughout the year means a happier and more productive you in the long run. Looking for more tips to energize your business in the New Year? Check out this post for some great strategies! Allison Rice is the Marketing Director for Amsterdam Printing, one of the nation's largest providers of promotional products for businesses large and small. Amsterdam Printing specializes in custom pens and other promotional products such as calendars, water bottles, and bags. Allison regularly contributes to the Small Business Know-How blog.